Once upon a time there was a homeschool mom who had not one but two copies of The Writers Jungle by Julie Bogart of Brave Writer. Two binders. Two fully printed copies of this incredible resource to equip homeschooling parents to teach their kids to write. So what is that lucky homeschool mom to do? PASS IT ON! That’s what! This week, I am going to pass on my former copy of The Writers Jungle (original value: $97) to one lucky reader. My copy is the most recent edition, complete in the Brave Writer binder. It is a USED copy, but I have cleaned it up for you. The stray pencil marks have been erased and the binder is all nice and shiny for ya! So you get the most recent version and I will be keeping the previous edition that was given to me. This guide is the centerpiece of the Brave Writer curriculum. It is designed to teach the PARENT how to teach their child. You will learn how to partner with your child as they find their writing voice, revise their thoughts, freewrite, and even construct the dreaded elementary school report! The missing ingredient in writing curricula isn’t how to structure a paragraph (information that can be readily found on the Internet). You don’t need more facts about topic sentences or how to use libraries. Grammar and spelling are not the key components in writing, either, much to the chagrin of some English teachers. Writing is first and foremost about writers—people with ideas, thoughts, and insights they want to share. Readers are cultivated by risky writing—writing that hooks, fascinates, speaks, surprises, enlivens, and tells the truth. How do you help your kids reach inside and find those kinds of words? That’s what Brave Writer is all about and that’s what The Writer’s Jungle is designed to help you do. But wait just a second. That’s not all. In addition to The Writers Jungle I’d like to include a few simple things to get your family started on their free writing journey. Your prize pack will also include 5 spiral notebooks (1 for mom and up to four kids), a selection of stickers to decorate your notebooks, and this 10 pack of Ticonderoga pencils. We have been free writing in our spiral notebooks for three years now. And they are treasures. Brilliant treasures. I hope these few simple items, in addtion to The Writers Jungle will help you to get started on your journey! Winning is easy. Just enter here and I will select a winner at random after the contest closes on Friday, September 2 at noon. While I am an ambassador for Brave Writer, this contest is not in anyway offficially associated with or sponsored by Brave Writer. I simply had two copies of The Writers Jungle and wanted to offer one up to my readers. Good luck and thanks for entering! And of course, spread the word so your friends can enter! The previous school year has ended, our exciting summer of travel is almost wrapped up, and it is time for this teacher to begin planning the next school year. As I look back, one of my favorite successful endeavors this year was the creation of two book clubs for my daughters. The older girls book club, the Boomerang Book Club, included titles for 7th and 8th graders. The younger girls book club, the Arrow Book Club, includes titles for 5th and 6th graders. Our book club title – The Arrow Book Club – was derived from my use of the Arrow Book Guides at Brave Writer. The Arrow Book Guides are designed for students in grades 3-6. These Brave Writer guides provide grammar, copywork, and literary element discussions surrounding a book title. Our family uses the guides at home during the month and our book club provides an opportunity to discuss and celebrate the reading. September – How to Eat Fried Worms by Thomas Rockwell. Our first book was a ton of fun because the host mom did a great job. She creatively came up with some fun crafts and foods for these girls based on a book that was tailored more toward a group of boys. While I am glad we read it, most of the girls didn’t enjoy the book. They found it gross. October – Flora and Ulysses: The Illuminated Adventures by Kate DiCamillo. The unlikely friendship of a superhero squirrel and the self-proclaimed cynic, Flora, make for a fantastic journey. This delightful tale is full of memorable lines and delightful characters. All of my children, ages 6, 8 and 11, enjoyed this story..
Our Arrow book club included nutty themed snacks and superhero crafts, including a superhero themed T-shirt created by each girl. November – The Mysterious Benedict Society by Trenton Lee Stewart. While this book is quite a time commitment to read, it is well worth it. We used the audio version for the sake of my voice and enjoyed the narration quite a bit. While dozens of kids answer an ad in the newspaper seeking gifted children, only are chosen to be part of the Mysterious Benedict Society. Their admittance to the Learning Institute for the Very Enlightened takes them on a fantastic series of adventures as they go undercover to save the world! December – Poppy by Avi. Hands down, this was my family’s favorite book this year. Not only was our party school book club an amazing experience, but we fell in love with the characters in this book. In fact, after reading this title, we returned to the prequel, Ragweed, and then finished the rest of the books in the series. Our family christmas ornament was an owl this year, representing Mr. Ocax, a character in Poppy. Because when I say that we loved this book. I mean that we loved this book. January – Love that Dog by Sharon Creech. This creative tale is written as a series of poetry journal entries. Jack, the main character and author of the journal is a student who is studying poetry and poets at school. He experiments with his own poetic voice and finds it as the journal entries progress. This book was a perfect jumping point to play with poetry in our own homeschool this year. February – Courage Has no Color, The True Story of the Triple Nickels: America’s First Black Paratroopers by Tanya Lee Stone. This was an incredible non-fiction story of America’s First Black Paratroopers. Told in a conversational story style, Tanya Lee Stone includes narratives, facts and quotes to communicate this important piece of American History. We took the opportunity to dive deeply into this topic and looked at the segregation of America during this time period. As part of our month, we enjoyed the “Remember the Titans” movie and the sounds of Motown! March – Understood Betsy by Dorothy Canfield Fisher. This is a delightful coming of age story as Elizabeth grows into herself while becoming known as Betsy. This tale is filled with deeper themes of love, friendship, and parenting. As a homeschooling mom, I was delighted with commentary found on education within the pages of this tale. April – Cracker! : The Best Dog in Vietnam by Cynthia Kadohata. While we all enjoyed this difficult story, my boys especially were drawn to it. This wasn’t an easy read as the realities of war are descriptive, but it was an important story and one we all enjoyed. I learned quite a bit about the way dogs were trained during the war. It was an informational book based on true events during the Vietnam War. Pictures and more historical details are included in the book. Note: There is some language in this book, used by the soldiers, and while appropriate to the setting, it is important to note for parents. May – Love, Ruby Lavendar by Deborah Wiles. We loved this book as well. Ruby Lavendar and her grandmother, Miss Eula are as close as can be, so when Miss Eula announces a trip to Hawaii to visit another grandbaby, Ruby is just certain she will not survive. Not only does she survive, she makes a new friend, confronts some deep realities about her grandfather’s death, and keeps in touch with Miss Eula through letter writing. We all laughed at the memorable events in this book and talked through some of the deeper messages. That sums it up! We had a fantastic year of challenging and fun literature. As for next year, we will continue to use the Arrow Book Guides at home and focus our monthly book club meetings on the selected titles. The titles for the coming school year can be found on the Brave Writer site. Right now, we are reading Cracker! : The Best Dog in Vietnam by Cynthia Kadohata. The story follows Cracker, a German Shepherd, sent to train for battle in the Vietnam War. Cracker is assigned to dog handler, Rick Hanski, and together they are going to “whip the world” according to Rick. The story is well told and alternates between the dog’s and the soldier’s point of view. In January, we read the book Love that Dog by Sharon Creech. This delightful book is told through the journal entries of an elementary school student, Jack, who is learning poetry in school. Jack is inspired in particular by the poet, Walter Dean Meyers, and writes him a letter. He even gets Mr. Walter Dean Meyers to come to speak at his school! And of course, we all become familiar with one of Mr. Walter Dean Meyers poems because of this book. We were even inspired to write our own poems at our Party School Book Club celebration! Tonight, I sent my husband to the library to pick up some titles I had requested. I used the online catalog to search for children’s books about the Vietnam War. I wanted to learn more about it with the kids because of our read aloud title, Cracker! : Best Dog in Vietnam. Patrol: An American Soldier in Vietnam . I opened it and began to flip through the pages. The book is a long poem told through the eyes of an American soldier in Vietnam. I glanced at the cover to see who the author was. I love when an unplanned moment like this one happens in our school day. I can’t wait to read this with the kids tomorrow. UPDATED NOTE: I did read this with my kids today at our Poetry Tea Time. The book is one long, free verse poem. It is thought provoking and well written. I did want to mention that both Cracker! : Best Dog in Vietnam and Patrol: An American Soldier in Vietnam are not necessarily books for your youngest or most sensitive readers. They both deal with the realities of the Vietnam war and parental discretion is advised! After receiving digital access to the Brave Writer Retreat DVD’s a few months ago, I immediately watched all five session. At that time, I wrote a detailed review of the DVD’s. The sessions were full of such great information that I knew it wouldn’t be the last time I watched them. In fact, an idea began brewing in my mind…. And it made me even more excited about the Brave Writer retreat in July! What does your third grader do all day? It’s a common question from all sorts of people. Fellow homeschoolers are curious and eager for a peek into someone else’s routine. 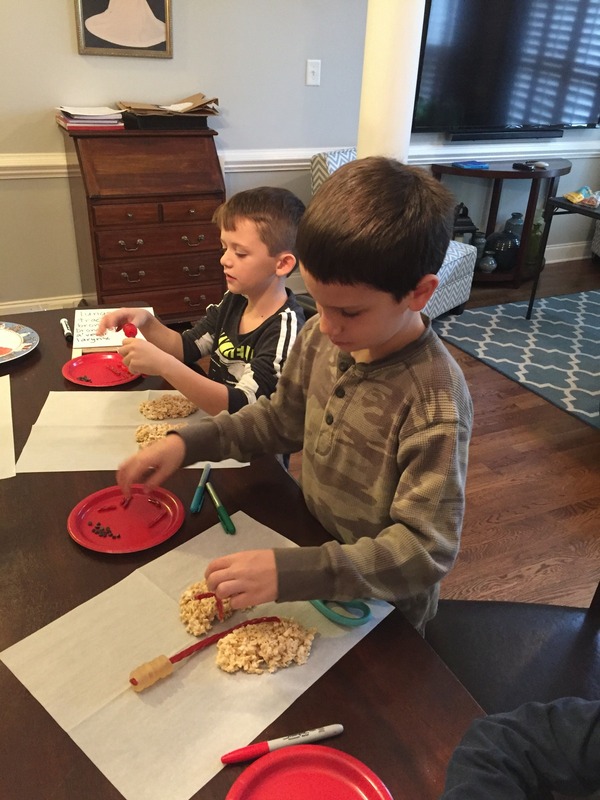 Non-homeschoolers wonder what “school” looks like in our home. Today, I offer you a peek into third grade at the Wilson Academy. That being said, third grade involves a lot outside time. We climb, hike, jump and throw rocks. We travel on bikes, plasma cars and ripstiks. We take in sunshine and lot of dirt too. School at this age involves swords and nerf battles. Fighting. Conquering. Training. We include constructing and building as much as we can. Legos, Minecraft, blocks, Lincoln Logs are all tools of learning. There is a lot of space in our day for games. Inside games and outdoor games. Board games and card games. Third grade includes a lot of time with siblings too. Giggling, laughing, arguing, and living. That being said, most people are curious about the “seatwork” of school. So without further delay, here are the subjects and books are part of our third grade school routine. Math. Nothing fancy or too creative here. I love Singapore math and it continues to work for my son this year in third grade. I appreciate the short lessons each day. It has also worked well to dive into topics instead of having a constant spiraling review. We chose to use the standards edition simple because I liked the teachers guide for the standards edition better than the teachers guide for the US edition. Either edition does the job. Let’s begin with spelling. We are working our way through All About Spelling. This program has the potential to be a pretty intense program, but we don’t do it quite like it is assigned. Instead, we focus on an introductory look at the rules and then use the word lists and dictation for practice. He keeps a composition book to write the words in each day. His dictation sentences from the book are kept in there as well. I use a post-it note as a bookmark and I record any words he misses from the lists. Then I throw those words on to the lists in the future, even when they aren’t suggested. Occasionally, we have days that I only review the words on the post-it note to see which ones he can spell at this point. Reading and Literature….and some spelling and grammar. Yes. ALL of these subjects are covered in our Brave Writer Arrow Guides. We maintain a school year subscription to the Arrow Guides, giving us 10 guides each school year. I read the title out loud to my younger three children and we work through the various activities and discussions in the guide. The copywork passages provide an opportunity to discuss literary devices, grammar rules, and writing techniques. They also provide real life spelling practice as the student copies the selection. I typically write the passage (or parts of it, if it is particularly long, such as this one) on the dry erase board. We take a look at it to analyze the grammar components that I want to discuss. Sometimes they are my own and other times they are suggested in the Arrow Guide. It is VERY hard for my third grader to copy the passage from the board or from the guide. Instead, I copy it in his notebook and leave empty space for him to write it below my words. In addition to our monthly read aloud book, my third grade selects all sorts of books to read on his own. Thankfully, he loves to read and as long as I keep the library basket full of choices, he is often seen with his nose in a book! Grammar Supplements. While The Arrow Guides provide lots of great grammar discussion, I occasionally turn to supplemental books and materials to reinforce grammar concepts. Daily Grams is a pretty straight forward grammar review, though we don’t do it daily. He completes every other lesson in the book, leaving the others for his brother to complete in two years. Even doing this, we won’t finish every other lesson in the book this year, but it is a great supplement when I want to use one. First Language lessons is another resource that I turn to in the Elementary School years. We use First Language Lessons 1 and 2 throughout the elementary years. It has been a great foundation without becoming tedious. Of course, our Language Arts Brave Writer lifestyle also includes Poetry Teatime each week as well as Freewriting occasionally. My third grade son enjoys doing his own writing for his Friday Freewrite, though he always has the option to dictate his thoughts to me. Science. This year we are studying Anatomy and Physiology using the Apologia guide. It is pretty in-depth for my third grader, but we make it work doing fun activities with friends along the way. I have talked about it on periscope and described how I approach it. I definitely try to create some “notes” that I want the kids to focus on and some fun, memorable activities. I am fortunate enough to have a local friend who wants to do the same thing for her kids, so we can alternate the chapters. Our science get-together is always a fun time to reinforce the concepts that we read about in the chapter. History. This year we are working our way through Story of the World, volume 3. The world is getting larger and there is a lot more to keep up with. I have to admit that this year has felt more scattered when it comes to the topics as we are jumping all around the world. But that is also what is great about this curriculum – we are looking at the WHOLE world and not just America. We meet with friends every month to do the crafts and activities related to our chapters that month. It has been a fun way to celebrate learning together and to do the hands-on-stuff that we don’t always get to on our own. Of course, as we were moving through the chapters on Colonial America, I realized that I wanted to spend a bit more time learning about Colonial America for my third grader and first grader in particular. As a result, I ordered the Colonial America lapbook from the Time Travelers Series created by the company, Homeschool in the Woods. We added it in for a few weeks and truly enjoy the activities in the guide. I have a feeling we will do another lapbook from this company next year. If you want to see more details about the Homeschool in the Woods study, then you can check out my periscope where I explained it in more detail. Of course, so much more is included in our homeschool that is not mentioned here. We spend a lot of time taking field trips related to our studies, including Jamestown and Yorktown this year. I didn’t mention fine arts or music, but we do include art activities every time we meet with friends for science and my son take piano lessons. Our Morning Basket time was added to our day during the year and we all participate in learning during that time. We consider homeschooling to be our family lifestyle. It is the way that we live and learn together, so while I tried to break down the pieces here, there are many that are so intertwined that they become hard to describe. In the end, we have routine items and a plan for learning each day, but we are very content to follow inspiration wherever she might lead….